Like many other local newspapers, my newspaper’s prep sports department, GameTimePa.com, has long recognized high-performing student-athletes as “all-stars” at the conclusion of each sports season. For my first three years on staff, the photographers had little to no involvement in the production of the high school all-stars presentation, which consisted mostly of round-ups and submitted headshots of each athlete being honored. Then, in fall 2014, I saw that our sports editor had placed assignments for all-star team photo shoots in our photo schedule. It took me maybe six seconds to decide to claim ownership of the project — that is, every single photo shoot — because otherwise, three different photographers would end up being assigned and the presentation wouldn’t necessarily have a cohesive look. After Jeff and I researched and compared lit portraits featuring three or more athletes, I decided on the aesthetic I was most interested in (and that could be feasibly accomplished with a large group of teenagers). With Jeff’s invaluable on-site assistance and support from various GameTime staffers, we managed to produce good-enough work in the 2014-2015 school year that, by the time May rolled around, I knew there was no way we couldn’t do it again for 2015-2016. For the 2014-2015 school year, we staged all the photo shoots on the fields, courts and mats where the athletes competed. 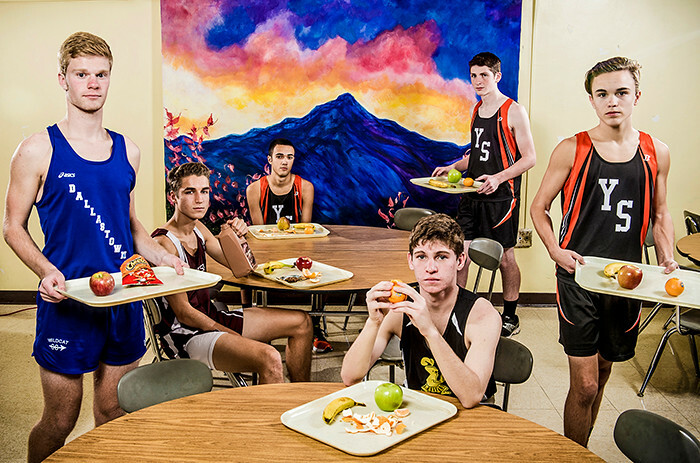 For the 2015-2016 school year — largely for logistical (weather) reasons and to emphasize that they are student-athletes — we staged all the photo shoots inside schools. I’d like to thank the principals, administrative staffers and athletic directors of Central York High School, Dallastown Area High School, Hanover High School, Northeastern High School, Red Lion Area Senior High School, Spring Grove Area High School, Susquehannock High School, West York Area High School, William Penn Senior High School, York Catholic High School and York Suburban High School for welcoming us into their schools for the past two years of photo shoots. I’m also grateful to Jeff for his assistance at every single shoot, to my photo and GameTime editors for letting me own this project and to the hundreds of our all-star athletes who brought their game face to the photo shoots. Below is a selection of my favorite team portraits from the past two years. You can view all the 2015-2016 team portraits here, and find a roundup of all the 2015-2016 all-star coverage here. © 2015 by GameTimePA.com. From left to right: Spring Grove’s Emily Jenkins, Red Lion’s Courtney Schaefer, West York’s Maelyn Elder, West York diver Erika Sarver, West York’s Taylor Hoover, York Suburban’s Megan Hunt, York Suburban’s Madie Devaney, York Suburban’s Carson Gross, York Suburban’s Anna Schmittle, York Suburban’s Jenna Hufnagle, Dallastown’s Anna Hess, Dallastown’s Jena Woods, Dallastown’s Erica Wise and New Oxford’s Regan Chalk. 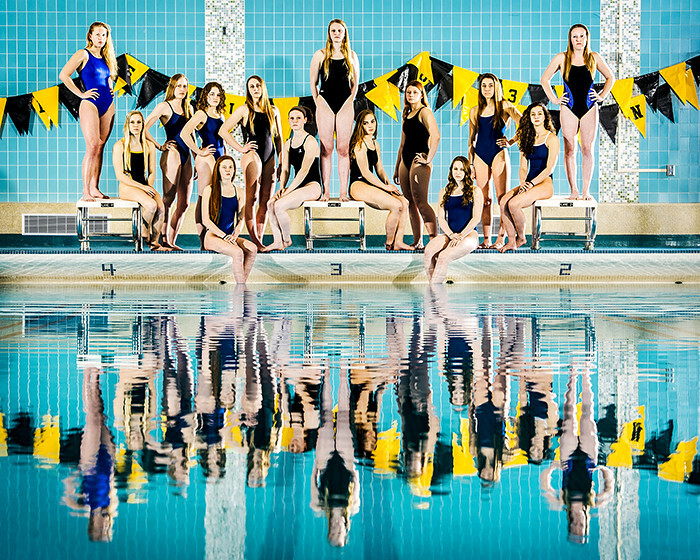 GameTimePA’s all-star swimmers. Picture taken Thursday, March 19, 2015, at Red Lion. © 2015 by GameTimePA.com. From left to right: Dallastown’s Patrick Jacobson, Gettysburg’s Dan Filler, York Suburban’s Donovan Mears, Delone Catholic’s Will Greene, York Suburban’s Bryce Ohl and York Suburban’s Jarrett Raudensky. GameTimePA’s all-star boys cross-country athletes. Picture taken Tuesday, Nov. 17, 2015, at York Catholic. © 2016 by GameTimePA.com. 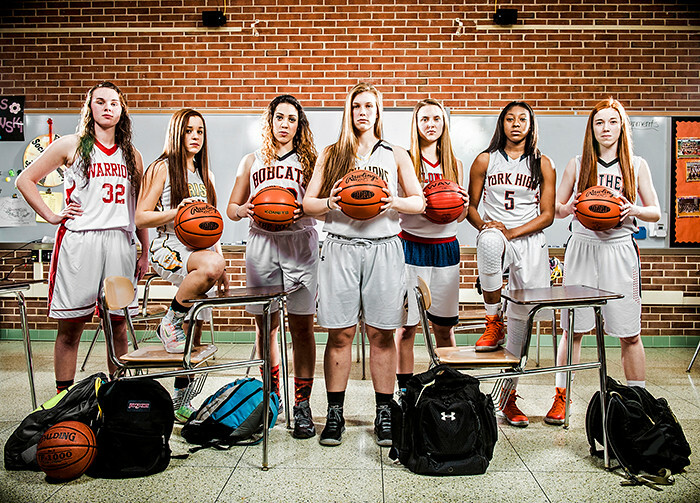 From left to right: York Tech’s Lauren Corbitt, Fairfield’s Morgan Jarrell, Red Lion’s Madisen Kling (seated), Eastern York’s Ashley Kerr, Eastern York’s Maddie McLain, Dallastown’s Lilly Cook, Gettysburg’s Hannah Baddick (seated), South Western’s Sammy Trone, South Western’s Lynne Mooradian, New Oxford’s Ayanna Johnson, New Oxford’s Madi Smith and Spring Grove’s Nathalie Elliott. Not pictured: York Tech’s Kirstyn Evans. 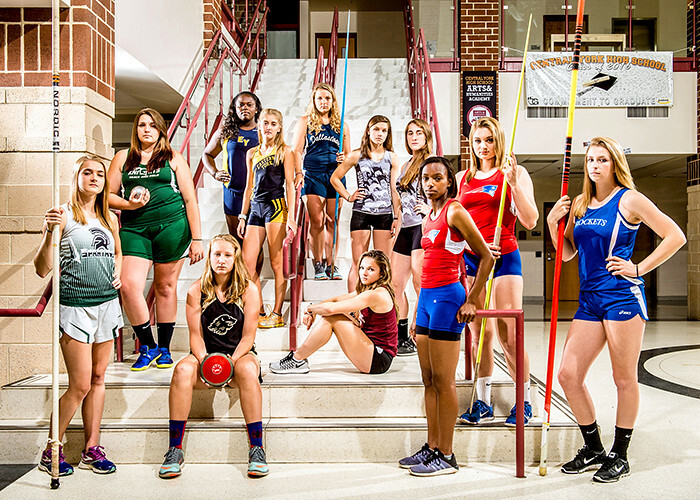 GameTimePA’s all-star girls’ track and field athletes. Picture taken Tuesday, May 31, 2016, at Central York. © 2015 by GameTimePA.com. From left to right: York Catholic’s Michael Andrews, York Suburban’s Elliot Diehl, York Suburban’s Michael Peck, Central York’s Chris Maderitz, Dallastown’s John Schmitt, Dallastown’s Tyler Lillie, Red Lion’s Sam Innerst, South Western’s Gavin Kenny and South Western’s Ben Sentz. 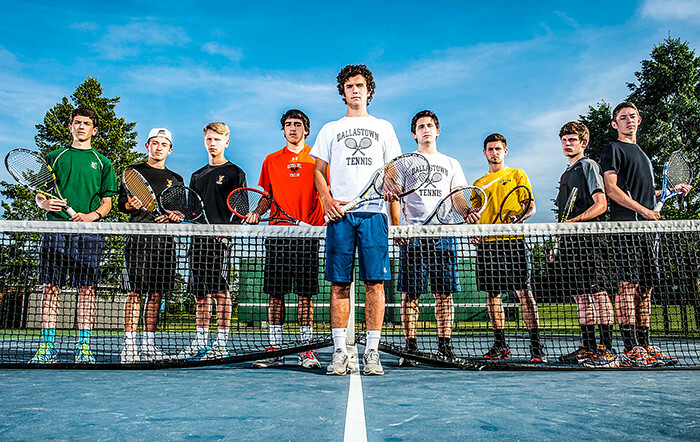 GameTimePA’s all-star boys tennis players. Picture taken Thursday, May 14, 2015, at Spring Grove. © 2016 by GameTimePA.com. Seated, from left to right: Delone Catholic’s Cassie Rickrode and Central York’s Rachel Butler. Standing, from left to right: Littlestown’s Kaitlin Yealy, Littlestown’s McKenzie Somers, Susquehannock’s Mallory Lebo, Delone Catholic’s Shelbee Holcomb, Delone Catholic’s Katie Laughman, Dallastown’s Jaelynn Harbold, Central York’s Cheyenne Miller and Dover’s Natalie Cutright. Not pictured: Susquehannock’s Maddy Staub. 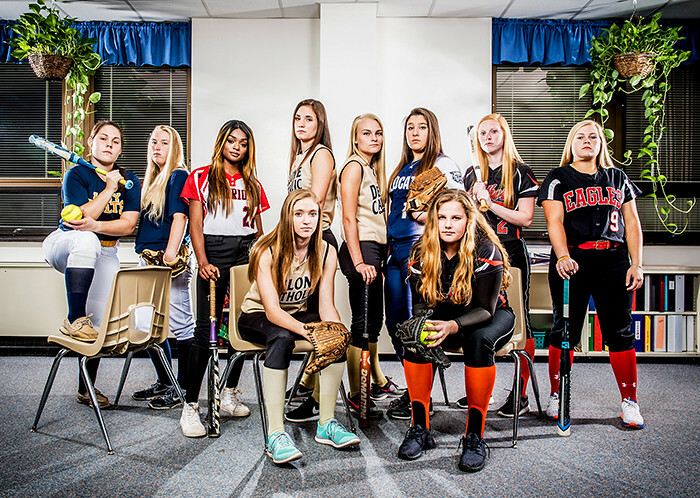 GameTimePA’s all-star softball players. Picture taken Monday, May 23, 2016, at York Suburban. © 2015 by GameTimePA.com. From left to right: Eastern York’s Conrad Rhein, South Western’s Ben Hollinger, South Western’s Anthony DeVincent, Red Lion’s Sam Emig, Red Lion’s Tanner Reif, Red Lion’s Joe Dashler, West York’s Hunter Betz, West York’s Tanner Hale, Spring Grove’s Tanner Bolton, Susquhannock’s Collin Riley, Susquehannock’s Shane Silk, York Suburban’s Collin Mailman, Dallastown’s Brian Prats and Dallastown’s Frankie Marqet. 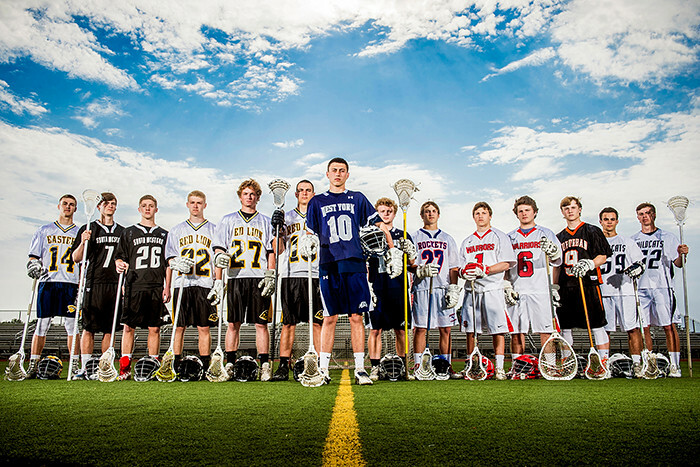 GameTimePA’s all-star boys lacrosse players. Picture taken Friday, May 15, 2015, at Central York. © 2015 by GameTimePA.com. Front row, left to right: Spring Grove’s Eli Brooks and Central York’s Sam Saxton. Center row, left to right: Hanover’s Dylan Krieger, William Penn’s Jahaire Wilson and Norhteastern’s Kobi Nwandu. Back row, left t oright: Dover’s Ryan Beck and William Penn’s Montrel Morgan. 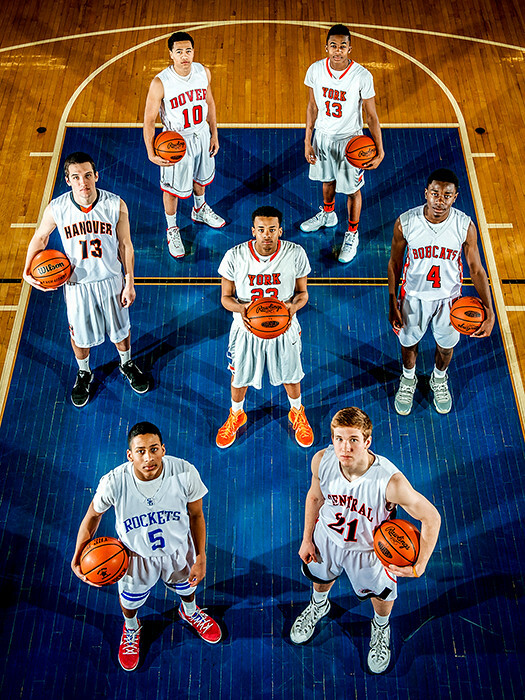 GameTimePA’s all-star basketball players. Picture taken Sunday, March 15, 2015, at William Penn. © 2014 by GameTimePA.com. From left to right: York Suburban’s Jordan Landis, York Suburban’s Maura Brehl, Eastern York’s Lauren Reichard, Susquehannock’s Abigail Bentz, Delone Catholic’s Maddie Comly, Delone Catholic’s Katie Laughman and Delone Catholic’s Sarah Senft. 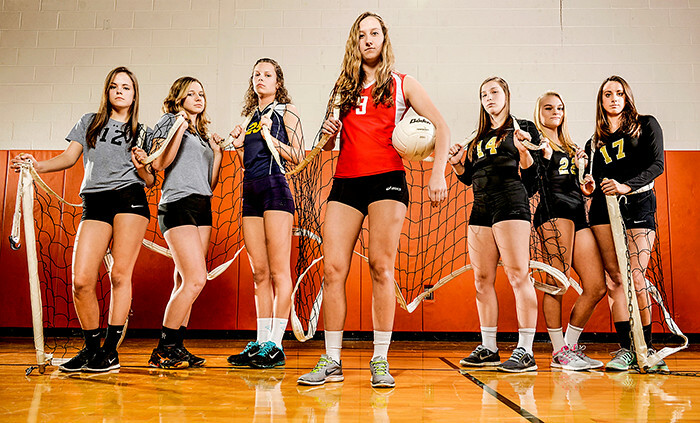 GameTimePA’s all-star girls volleyball players. Picture taken Tuesday, Nov. 11, 2014, at Central York. © 2015 by GameTimePA.com. From left to right: York Suburban’s Matt Spinello, Dallastown’s Grant Wertz, York Suburban’s Aidan Fryar, Dallastown’s Jake Stoner, Dover’s Casey Marshall, Dallastown’s Noah Brockway, Central York’s Alec Peckmann, Dallastown’s Spencer Hill, Central York’s Will Hartzell, Dallastown’s Logan Brockway and Central York’s Erik Peckmann. Not pictured: Red Lion’s Dylan North and Central York’s Jesse Tate. GameTimePA’s all-star swimmers. Picture taken Thursday, March 19, 2015, at Red Lion. © 2014 by GameTimePA.com. From left to right: York Catholic’s Lauren Parrini, York Catholic’s Joe Parrini, York Catholic’s Nick Geiman, Central York’s Gus Minkin, Spring Grove’s Tori Ross and West York’s Alex Hartman. Not pictured: Eastern York’s Kevin Crumbling. 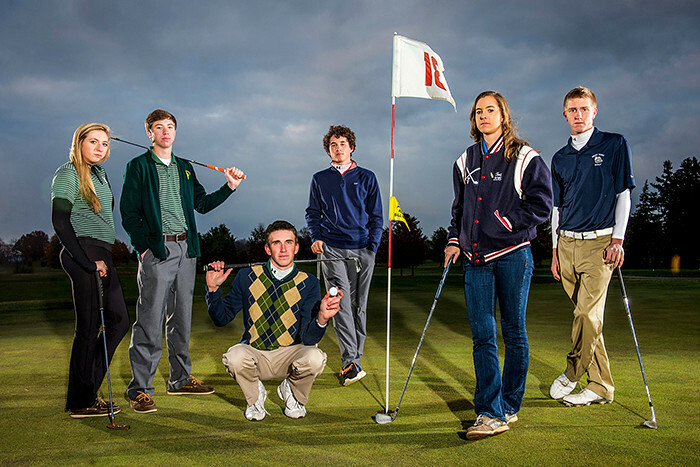 GameTimePA’s all-star golf players. Picture taken Friday, Nov. 14, 2014, at Briarwood Golf Club. © 2016 by GameTimePA.com. Front row, left to right: Dallastown’s Nick Parker, Dallastown’s Bryant Holtzapple, Dallastown’s Riley Hamberger and Gettysburg’s Michael Tempel. Back row, left to right: Susquehannock’s Connor Hood, Northeastern’s Kody Reeser, York Suburban’s Thomas Merkle, York Catholic’s Brenden Kennedy, Eastern York’s Brandon Knarr and Eastern York’s Colby Shimmel. 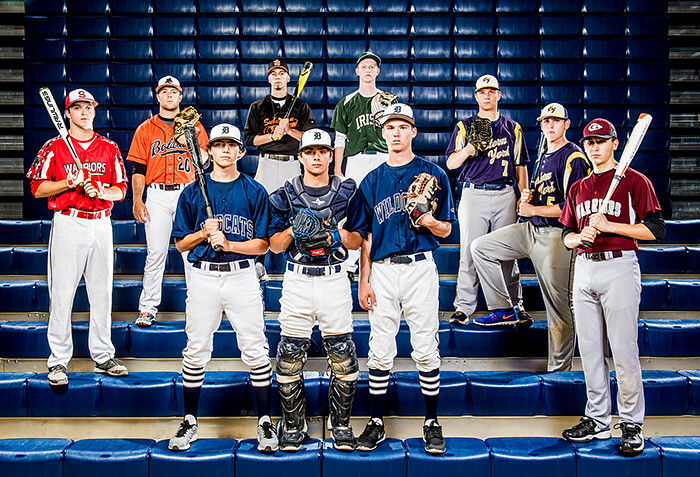 GameTimePA’s all-star baseball players. Picture taken Wednesday, May 25, 2016, at West York. © 2015 by GameTimePA.com. From left to right: Kennard-Dale’s Maddie Ferner, Kennard-Dale’s Caitlin Salomon, Eastern York’s Madison Nalls, Eastern York’s Olivia McLain, Eastern York’s Maddie McLain and West York’s Bethany Weaver. 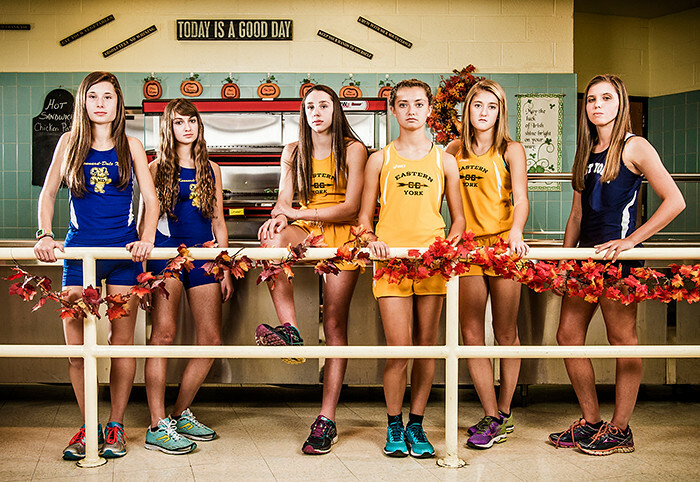 GameTimePA’s all-star girls cross-country athletes. Picture taken Tuesday, Nov. 17, 2015, at York Catholic. © 2016 by GameTimePA.com. From left to right: Central York’s Jack Schultz, Red Lion’s Dillon Hildebrand, Northeastern’s Dakoda Hoffman, Northeastern’s Reese Devilbiss, Northeastern’s Matt Schaeffer, Northeastern’s Jeff Reynolds and Central York’s Hayden Wagner. 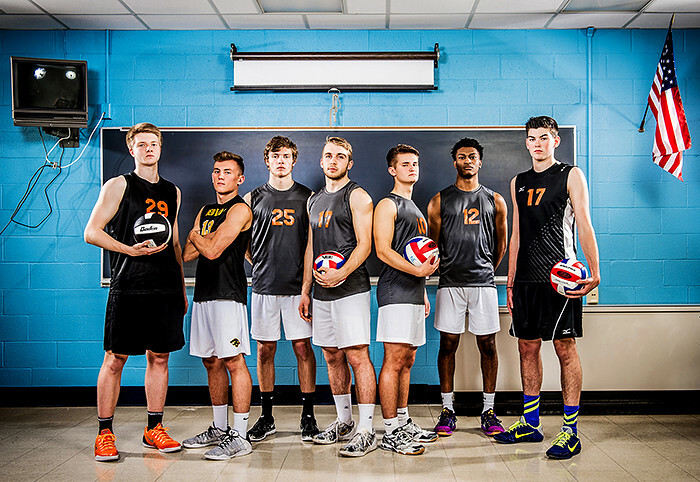 GameTimePA’s all-star boys volleyball players. Picture taken Wednesday, May 18, 2016, at Northeastern. © 2016 by GameTimePA.com. From left: Susquehannock’s Ashley Stone, York Catholic’s Kate Bauhof, Northeastern’s Jordyn Koster, Red Lion’s Courtney Dimoff, New Oxford’s Kaelyn Long, William Penn’s Chyna Steel and Central York’s Emma Saxton. GameTimePA’s all-star players. Picture taken Monday, March 14, 2016, at York Suburban. © 2015 by GameTimePA.com. From left to right: Central York’s Igor Gomes, Central York’s Jared Wagner, West York’s Darian McCauley, Dallastown’s Kyle Hennigan, Dallastown’s Kyle Schimmel, Susquehannock’s Luke Thomas, Susquehannock’s Brady Gallegos, Biglerville’s Connor Griest, Gettysburg’s Adam Yingling, Gettysburg’s Matt Yingling, Gettysburg’s Bobby Weikert, Bermudian Springs’ Samuel Johnson and Bermudian Springs’ Johnny King. 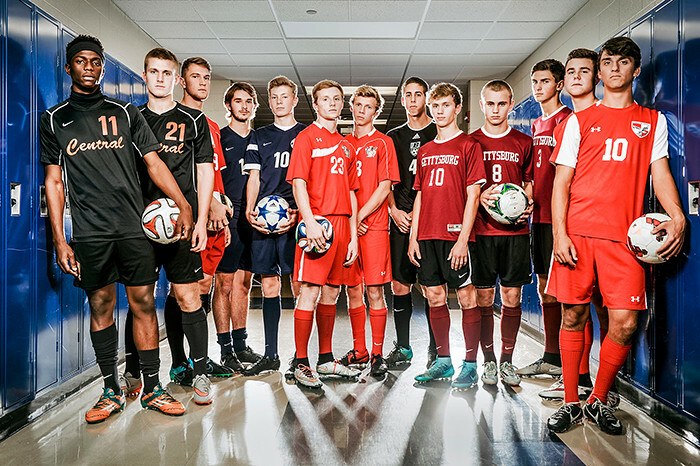 GameTimePA’s all-star boys soccer players. Picture taken Thursday, Nov. 12, 2015, at Spring Grove. © 2015 by GameTimePA.com. Front row (seated or kneeling), from left to right: New Oxford’s Brock Hartman, West York’s Logan Loucks, York Catholic’s Dan Yokemick, Bermudian Springs’ Logan Luckenbaugh and Central York’s Rodney Johnson. Middle row (standing), from left to right: Biglerville’s Victor Lopez, Delone Catholic’s Tavian Dorsey, West York’s Terry Cains, York Catholic’s Jakkar Kinard, York Suburban’s Collin Mailman, York Suburban’s Thomas Merkle, York Suburban’s Dustin Knaub, Spring Grove’s Andrew Lawson, Red Lion’s Kendrick Boyd-Gillespie, Red Lion’s Nick Argento, Northeastern’s Shamari Young, Northeastern’s Fred Mulbah and Northeastern’s Fernando Flores. Back row (on ladders): South Western’s Corbin Byers and Spring Grove’s Andrew Luckenbaugh. Not pictured: Dallastown’s Jordan Burns, Jacob Garrity, Jake Jansen and William Reilly. 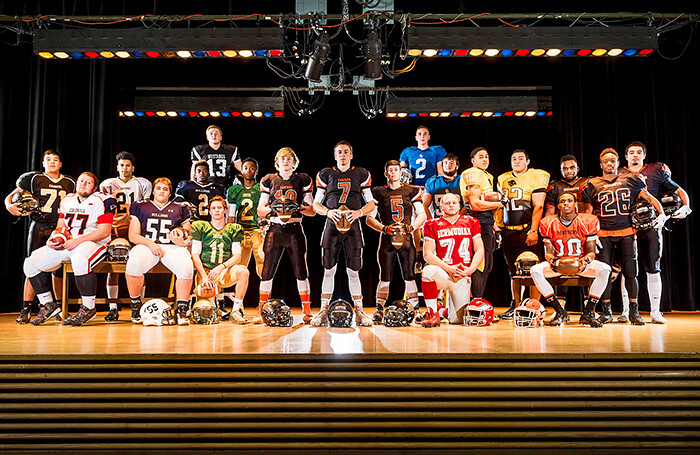 GameTimePA’s all-star football players. Picture taken Monday, Nov. 23, 2015, at Hanover High School.